Is all content created equal? I think not. There’s some that is clearly more engaging than other types of content. The art of course is to know what will engage your target audience and once you’re confident–do more of it. Regularly. 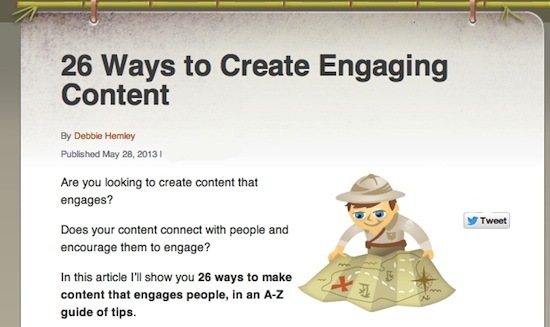 Today in my new article on Social Media Examiner, I discuss 26 Ways, an A-Z guide, for creating engaging content. Read the full post.